Dr. Stephanie Gautier was born and raised in Kelowna. She completed her BSc in Microbiology and Immunology at the University of British Columbia. During this time, she worked at the BC Cancer Agency conducting research and publishing several articles. 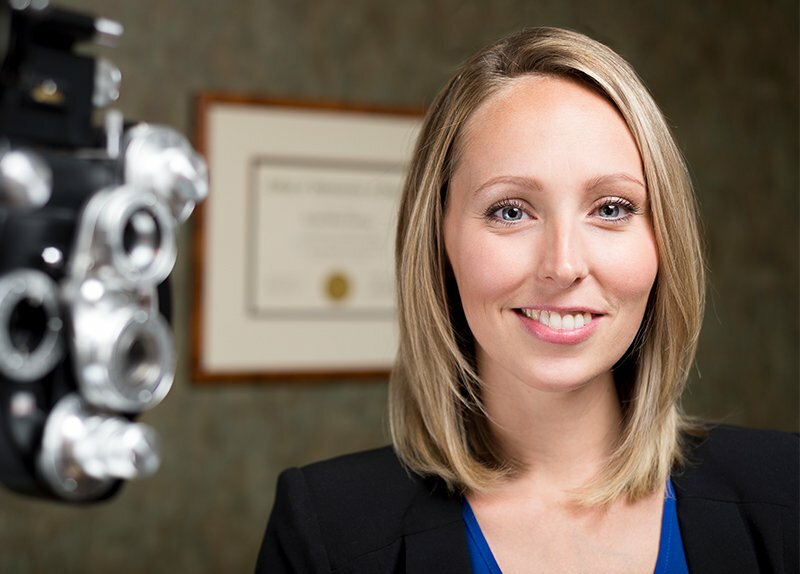 In 2009, Dr. Gautier completed her Doctor of Optometry at the University of Waterloo, graduating as the top academic student in her class. After practicing in White Rock/South Surrey, Dr. Gautier returned home to Kelowna, joining iSight Optometry as an associate in 2013. In addition to private practice, Dr. Gautier travelled numerous times to Haida Gwaii performing eye examinations for the local First Nations community. She has also volunteered in northern Chile as an optometrist with the Lions Club International. She is currently serving as a Peer Assessor with the College of Optometrists of British Columbia. Together with her husband, Dave Gautier, they have a two beautiful children. She enjoys spending time with her family, snowboarding, and yoga.